Last week, illegal banking practices cost Wells Fargo, one of America’s largest banks, $185 million in fines. Regulators have called the scandal “outrageous” and stated that the widespread nature of the illegal behavior shows the bank lacked the necessary controls and oversight of its employees. Educating and monitoring employee understanding of proper practices is vital for regulatory compliance. How do you ensure your workers are compliant with the rules and regulations in your industry? How do you prove that employee training is understood? 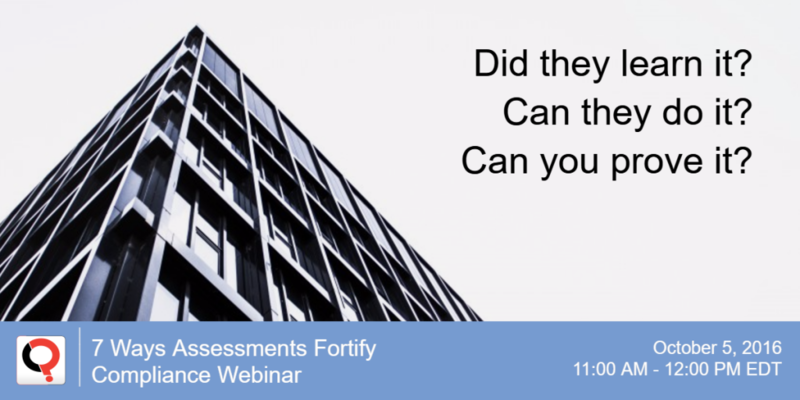 The webinar will examine real-world examples of how assessments are used to strengthen compliance programs. It will also provide tips for developing valid, reliable assessments.